The standalone VR HMD is due in spring and we chatted with one of the Oculus staff members its announcement. Oculus Quest was announced in September, setting the stage for the next major leap in virtual reality with an untethered and fully-powered standalone VR HMD. Previously known as Project Santa Cruz, the Oculus Quest launches in spring 2019 and will only cost $399.99. 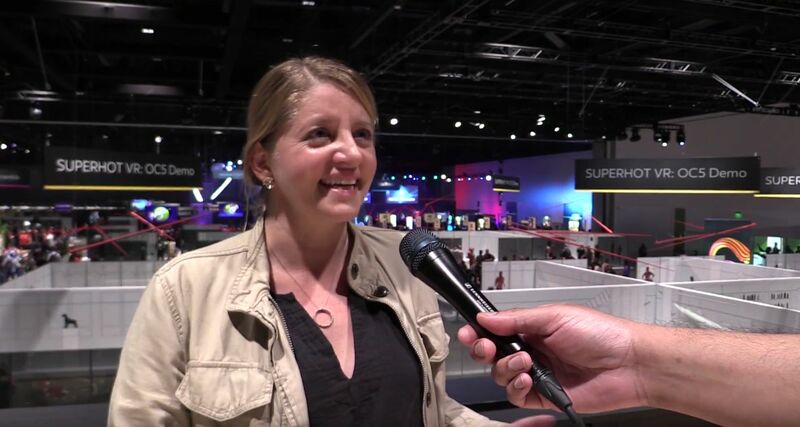 At OC5, we got a chance to speak with Oculus Quest Product Marketing Manager Allison Berliner about the HMD, the excitement for the next step in VR, and more. Enjoy the video and leave us some feedback in the comments! Head over to the Shacknews and GamerhubTV YouTube channels for some additional exclusive interviews, gameplay, walkthroughs, and other gaming and tech-centered videos released. Don't forget to hit that subscription button, because there's always new content going up!